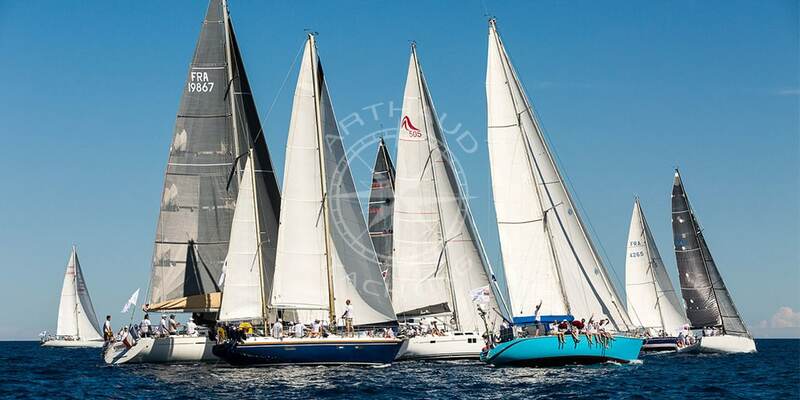 A trusted partner, Arthaud Yachting is the agency for the organisation of your corporate events on the French Riviera. As a global business tourism hub, the reputation of the French Riviera is well established when it comes to organising business events. Easily accessible from a multitude of destinations, Nice is today the second largest French business airport and the region has a large number of heliports, making it the leading helicopter route in Europe. 500 conference rooms and a plethora of top-of-the-range and luxurious accommodation enable the French Riviera to host more than 400 events and 500,000 congress attendees each year. Infrastructures, prestige, exceptional climate and festivities make this region one of the most popular in France for all companies wishing to organize an event of unrivalled quality. The Provence-Alpes-Côte d’Azur region and more particularly its coastal cities such as Cannes, Nice, Monaco or the very famous and glamorous city of Saint-Tropez are idyllic places to receive your guests under the best conditions and make a lasting impression with an extraordinary event. Which destination should you choose for your corporate event on the French Riviera? All located along the eastern part of the Mediterranean coast, the destinations that make the French Riviera famous are numerous. Nice, Cannes, Antibes, Juan-Les-Pins, Grasse, Monaco, Menton, Èze, St-Paul de Vence and other villages in the Riviera countryside are the most beautiful places in the region and you will be spoilt for choice. The most popular towns for corporate events are of course those by the sea, such as Cannes, Monaco or Nice, where the infrastructure has a large capacity and unparalleled quality. The cities along the coast are attractive because of their view of the sea and the diversity of activities that can be offered. From Cannes to Monaco passing through Nice, a wide range of top-of-the-range accommodation is at your disposal to welcome your teams in a comfort that matches the image you want to give your company and the reception capacities are very wide. 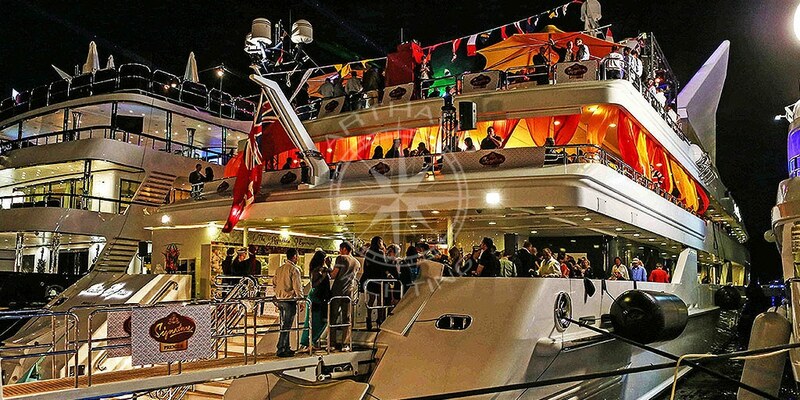 Under the dazzling lights of Cannes or in the heart of the highly coveted Saint-Tropez, you can for example organise your corporate event on a boat, a private yacht while taking advantage of the nightlife of the town so that guests and teams can continue the festivities until the end of the night. An undeniable asset of the Côte d’Azur is its climate, which is one of the reasons why the region is so popular in the business tourism sector. From April to October you will have no trouble organising your events outdoors and even in the open sea. From the many marinas on the French Riviera, in Antibes, Cannes, Monaco or Juans les pins, nautical activities can enrich your business event. 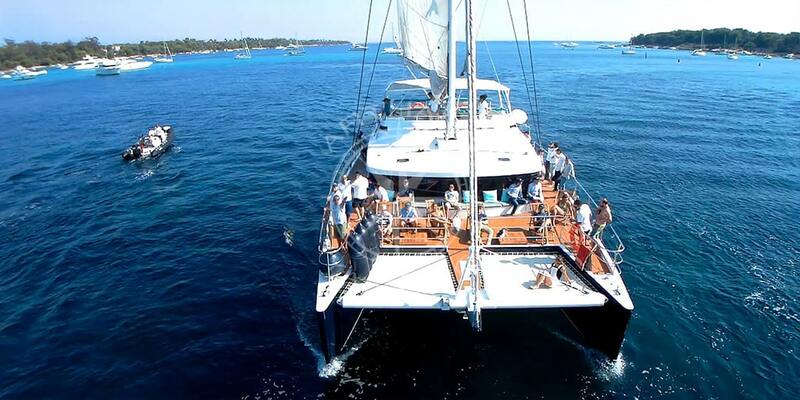 Regatta by sailboat or catamaran, relaxing cruise on board an authentic sailing boat or a sports cruise on a dinghy, the turquoise waters of the Mediterranean Sea open up their doors to make your event memorable. 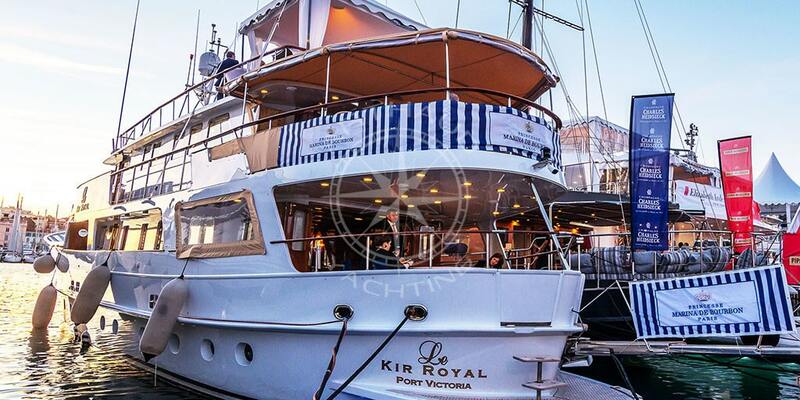 You can continue your event on land or continue in a nautical spirit by organising a dinner and evening on a yacht entirely privatised for your needs. 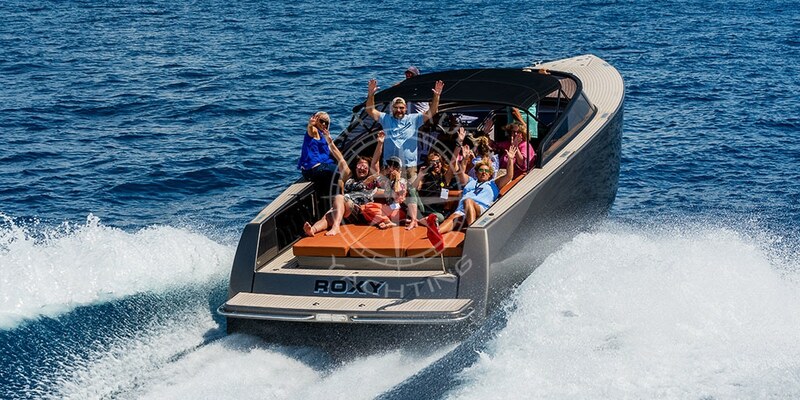 Qualified crew at your service during your corporate event on the French Riviera. Define your objectives for your corporate event and choose your destination: Monaco, Nice, Cannes, Antibes, St Tropez, Marseille, etc. Because the standing and ambience of your event will convey the image of your company, product or service to your guests, it is essential not to be mistaken about the most important values you wish to convey on D-Day. If your objective is to promote the quality of your products, the high performance of your teams or the high standards with which you provide your services, then the mythical and prestigious destinations of the French Riviera is the ideal place to hold your event. 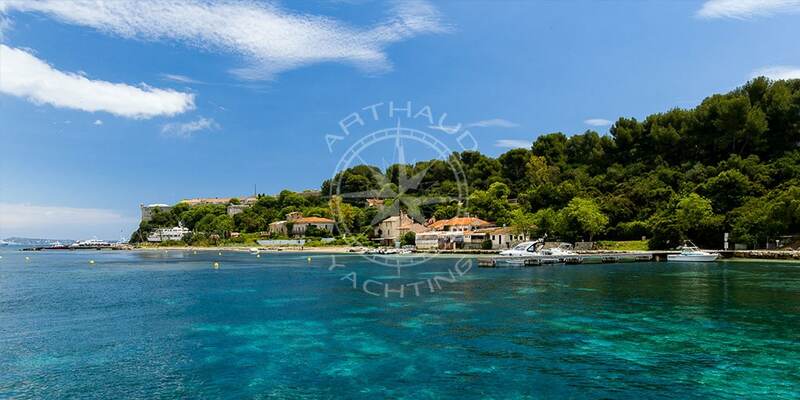 With its 10 years of experience and based in the demanding city of Cannes, Arthaud Yachting will be able to organise a top-of-the-range event on the French Riviera, 100% personalised. What type of corporate event to organize on the French Riviera? What is great about the French Riviera is that it offers a certain ambivalence that encourages diversity. Located between the sea and the mountains, the French Riviera towns can welcome your group in luxurious accommodations in the heart of the mountains of the Maritime Alps while allowing you to access less than an hour’s drive to open sea activities and enjoy a meal on-board a yacht or sailboat. This ambivalence is also reflected in the relaxation and sportsmanship. You will find a multitude of sporting activities to punctuate your event with dense and dynamic experiences without having to neglect the softness of sunny moments of relaxation. Thanks to its many facets, the French Riviera is a suitable destination for all types of corporate events. There is nothing like the vitality of the sea breeze and the beauty of the Mediterranean Sea to stimulate teams, strengthen links between employees and offer team-building activities that will alternate sporting challenges and rewards. 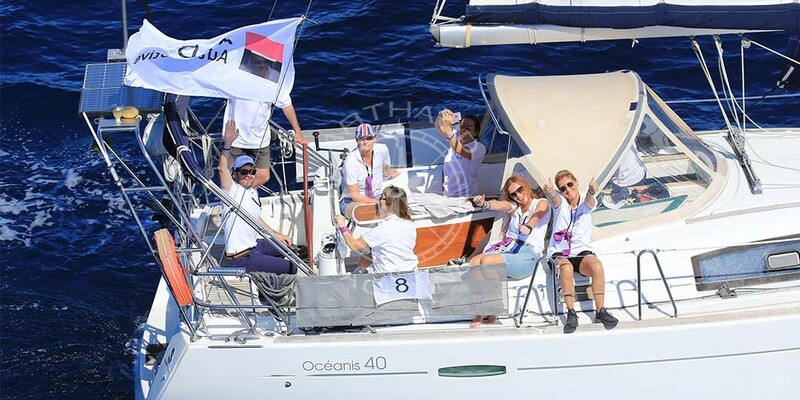 Sailing yacht racing, catamaran treasure hunt, relaxing cruise between Monaco and Cannes are just some of the activities you can integrate into your event to stimulate your employees’ desire to win and consolidate the uniqueness of your teams. Product launch parties are strategic events for the company and unveiling the company’s future star deserves to be done in the best possible conditions. The rental of private yachts in Antibes, Cannes, Saint-Tropez or Monaco lends itself particularly well to this type of event. After having communicated results, objectives and ambition to your shareholders and financial partners, expressing gratitude for their commitment and support must be done carefully. 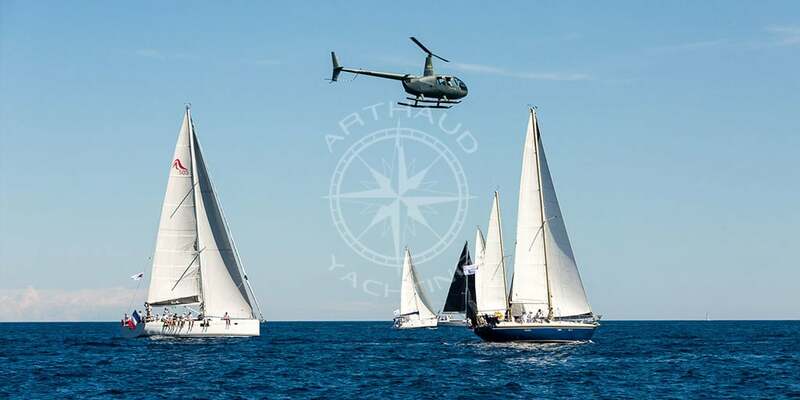 Whatever the type of event you want to organize, Arthaud Yachting’s teams will use all their knowledge of the region and the nautical world to offer you a unique event that will meet all of our communicated specifications.